Nine lives. This is one cat that will live again. Jaguar is finishing its aborted XKSS project. On 12th February, 1957, an icon was cut down in its prime. The Jaguar XKSS could be considered the first supercar – a sports car born from a racer, a road car with motorsport pedigree like no other. But one fateful Tuesday, fire ripped through Jaguar’s Brown’s Lane factory in Coventry, UK, and the XKSS was snuffed out. The XKSS started life as a dominant racing car. In the mid-1950s, the Jaguar D-Type was the king of the track, winning the Le Mans 24 Hours for three years in a row. But at the end of its life, Jaguar had 25 cars that were built but unsold. So a plan was formed to turn them into road cars. The D-Type’s bodywork was tweaked, and a windscreen was added, and so the XKSS was born. Quite literally a racing car for the road, it was the must-have car of the late ‘50s, and was driven by the likes of Steve McQueen. By February ’57, 16 had been completed, but the fire destroyed the final nine D-Types before they had been converted. All the tooling and equipment needed to make the transformation also perished. The XKSS was no more, the final nine destined never to be. 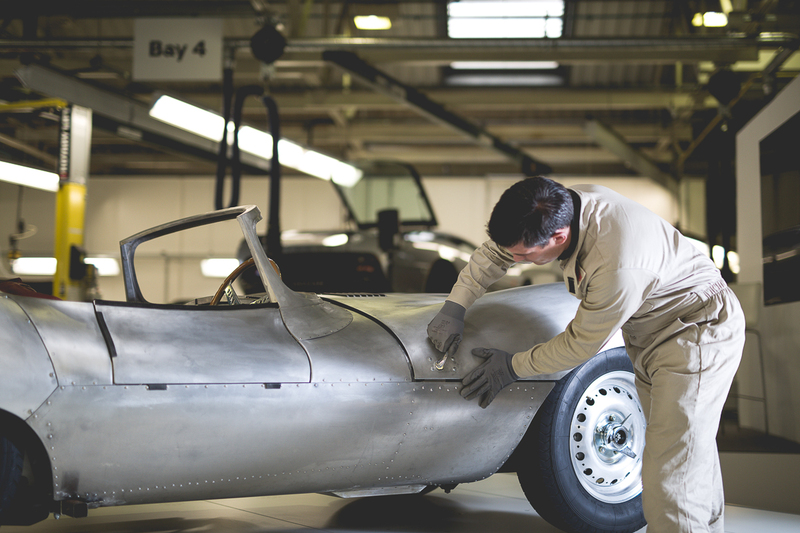 Now fast forward 60 years, and Jaguar is bringing the XKSS back to life. It’s not a replica, and it’s not a contemporary imagining. The UK carmaker has brought the original chassis numbers out of the old ledgers, and is making the final nine XKSSs as official continuations of the original run, as close to the 1950s specification as possible. The first car was unveiled at the Los Angeles Motor Show, and its reveal follows the hugely successful 2015 project to revive the ‘lost’ Lightweight E-Types. 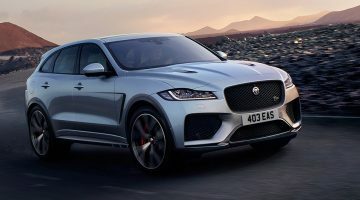 That project, as well as the new one, has been undertaken by Jaguar Land Rover’s Classic department, which was formed to restore customer cars and sell self-restored vehicles to a widening classic car market. As well as proving a collector piece for an elite few customers, the “new” XKSS also serves as a showcase for the division’s abilities. Building a classic car from scratch isn’t an easy proposition, and before any work even took place there was a philosophical question to answer for Kev Riches, JLR Classic’ vehicle recreation manager. Six decades after the last XKSS was built, how do you decide what counts as an authentic continuation? 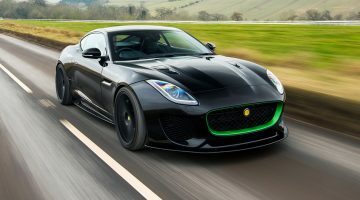 “We could have produced it on top of an F-TYPE for example, and tried to morph this bodystyle on top of that,” he notes. “But for the work and effort, who would buy it? Is it something that the markets out there actually want? Probably not. 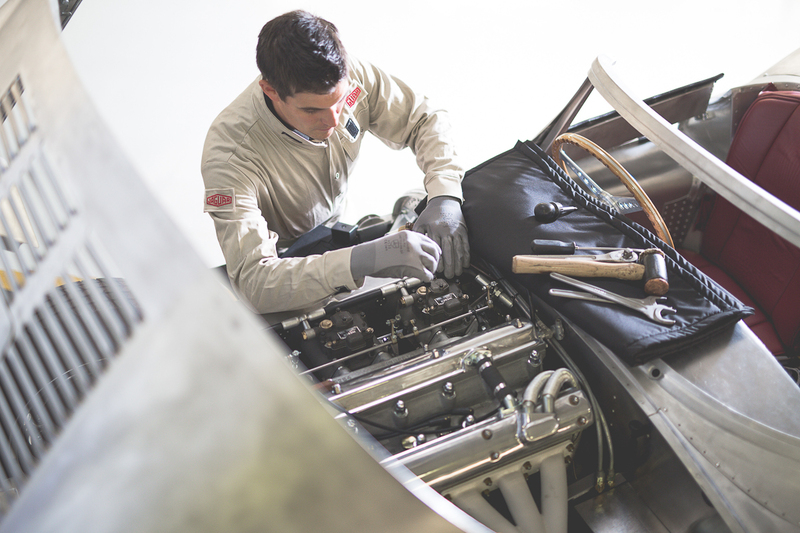 A core team of just five people set about delving into Jaguar’s thankfully extensive archives, uncovering original plans, drawings and letters from the 1950s, which set them on the way to reviving the XKSS. But although the decision was made to build the car in the traditional manner – by hand – that didn’t mean that 21st century technology couldn’t be employed. “We’ve got lots of drawings, all of the research data, all of the build specs, we’ve even got letters from various heads of departments giving instructions on what to do, and we’ve used all of that data and knowledge along with a study of the original cars that we’ve got hold of,” Riches says. “We’ve also had four original cars in for scanning, which has enabled us to get a real picture of what the car should look like. By taking median measurements, the ideal specifications of a 2017 XKSS were arrived at. But building it is a different matter. In the chase for ultimate authenticity, everything had to be correct. The archives yielded much information. 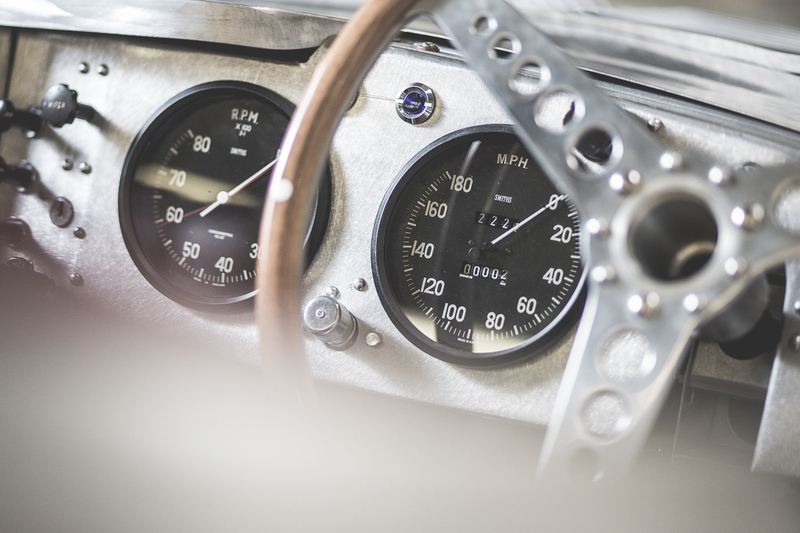 Everything from the number and type of rivets used, to the grain of the leather on the seats to the type of wood used on the steering wheel was painstakingly recreated, crafted and assembled. Some parts were easier than others. Smiths, who make the gauges, are no longer in business, but the Coventry area is awash with businesses and individuals with the necessary skills to create replicas from the original drawings. The same was true of the three Weber DC03 carburettors that sit atop the heart of the car – a straight six, twin-cam, 3.4-litre engine that was rebuilt from the cast iron block upwards by classic car stalwarts Crosthwaite and Gardner. Dunlop agreed to remould a supply of R5 tyres especially for the project. There were some areas where the realities of modern health and safety necessitated changes. Modern fuel contains large amounts of ethanol, which would eat through the period rubber fuel hoses and tank bag in a matter of months, so they were recreated using modern materials derived from Formula 1. The original disc brakes – a huge innovation at the time – have been faithfully recreated, but the Mintex pads have a modern compound rather than the original asbestos. A four-point racing harness has been fitted to the seats as well. The result is as about as faithful a recreation as it’s possible to get, and one that will occupy the Classic team for the next year or so – the final car is due to be finished in March 2018, and each will have about 7000 man hours of work put into them. And then? The Jaguar archives are bulging with projects that never were, or were never finished, and ideas that never came to fruition. Riches answers with a glint in his eye. “Wait and see,” he winks. Enjoy this Jaguar XKSS feature?